Our memories are something that we take for granted; they are always going to be there, more or less, and they are always going to be accurate to a certain extent. But what if one day you discover that your most important memory is nothing but a fabrication to the whole world around you? How could you trust anything out of your own mind afterward? 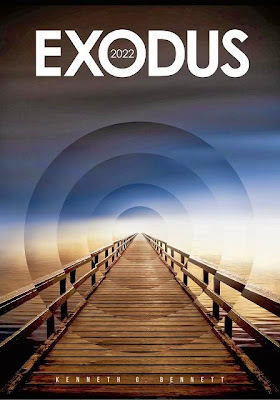 Such is the situation Joe Stanton finds himself in, in the book Exodus 2022 by Kenneth G. Bennett. For a quick peek into the book, it delves into the life of the afore-mentioned Joe, whose most important memory is the life and death of his young daughter. As one day he loses control in public out of pure grief, he discovers the hard way that not only did his daughter never die, but he never had one in the first place. With his girlfriend he discovers that such cases have become alarmingly common in the recent past across the Pacific coast, with the consequences always being deadly. And so, our protagonist embarks on a race against time to solve the whole meaning of his hallucinations, where he fits in, who is behind it all, why, and of course, how he can save himself. 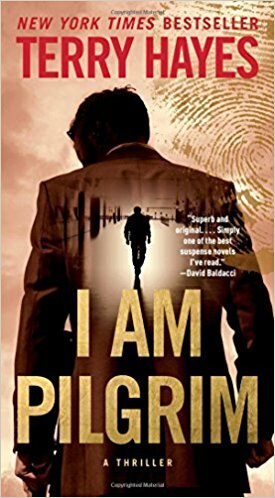 Coming from the world of cinema and fast-paced thrillers, it shouldn't come as a surprise that with his debut novel, I Am Pilgrim, Terry Hayes brings to us an intricate, action-oriented plot (there is certainly more to the novel though, and more on that below) that moves along at a breakneck speed. In it, we are basically treated to a confrontation between a government agent codenamed Pilgrim, and a deadly mastermind of a terrorist genius only ever known as Saracen. As a woman is found lying dead in a pool of acid, with all traces of evidence removed from the room according with the instructions written in Pilgrim's own book, a chain of events is set in motion which will end up pitting the two warriors against each other, but not before having them travel half the world in search of the other one's defeat. Ever since we were old enough to realize the sky existed, humanity has always had an urge to take to it, to experience unparalleled freedom. For decades, centuries, and even thousands of years we have tried to imitate the flight of birds, albeit with very limited success. However, things took a drastically different turn when the industrial revolution came about. 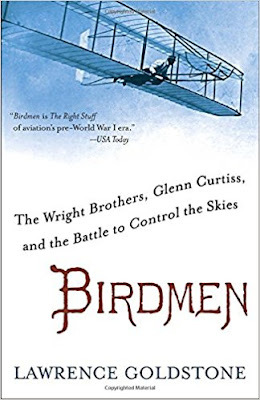 In the very early days of the 20th century, fueled by then-unimaginable technological advancements, a large number of people became friends, enemies, accomplices and rivals in their glorious conquest of the skies. Good day to you all, and welcome back for yet another issue of Gliding Over the World of Literature, with this being our 56th outing to date! Today, we will start things off by taking a look at the Nantucket Book Festival, and how far it has come in recent years. Following that, we will dive into more somber territory with an homage to Iain Banks, written by Ian Rankin. Finally, we will lighten the mood a bit and finish things off with a discussion as to why poetry is necessary in our lives. One would seldom think of anthropology as being the career where passionate love triangles would arise; they generally concentrate on their studies in seclusion. 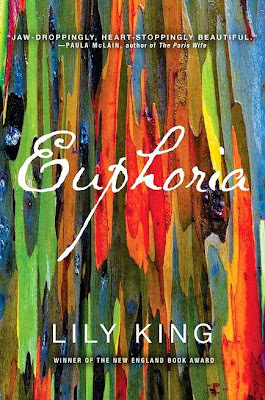 However, in Euphoria by Lily King, an anthropological study becomes the catalyst which sets off a series of events, plunging three young anthropologists in their thirties into a deep and passionate love triangle which begins to threaten not only their careers, but also their personal well-being. Just to give a brief overview of the story, it begins by introducing us to Andrew Bankson, a lonely and isolated anthropologist who is just about ready to take his own life, in no small part thanks to his brother's death. Just as he is about to leave this world, he makes the encounter of Nell Stone, and her husband Fen. They had both just escaped the bloodthirsty Mumbanyo and are yearning for new discoveries. Bankson obliges them when he finds a new, female-dominated tribe nearby, called the Tam. And so the research of this tribe sets the three unwitting protagonists on a course they could never have predicted, one that perhaps took them beyond the limits of their profession. One of the most fascinating aspects of the horror genre is the fact that so many different approaches to it can be taken, ranging from convoluted and ridiculous to simple and realistic ones; there will never be a shortage of things to fear in this world. 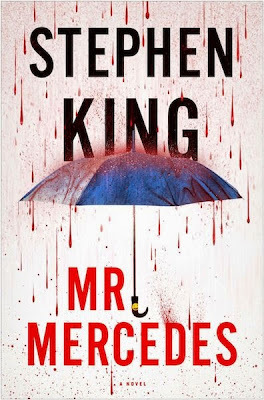 It goes without saying that Stephen King is deservedly one of the best-known horror writers out there, and with Mr. Mercedes he seeks to impregnate his audience with fear stemming from incomprehensible madness. Just to give a quick overview of the story, it follows a retired cop by the name of Bill Hodges who is haunted day and night by an unresolved case from many years back. In that case, an unknown assailant stole a Mercedes and drove it into a crowd of people killing eight and wounding fifteen. Suddenly though, Bill Hodges gets a rather bittersweet chance at redemption, and though he does not know it yet, Brady Hartsfield is the one he has to thank for it. That is because Brady is the mysterious assailant who evaded capture, and he recently sent Hodges a letter in which he identifies himself as “the perk” and threatens the city with an even more devastating attack. 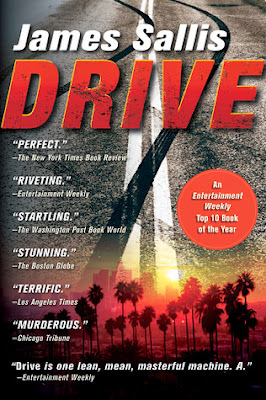 Not long ago the movie Drive (2011) made a tremendous splash in the moviemaking industry, and personally I will admit to it being one of my favorite movies. Perhaps somewhat predictably, the success of the movie led many people to become curious as to what inspired it, and it didn’t take much time for James Sallis’ Drive to skyrocket into fame. Before discussing the book itself, I would like to make one thing clear: though the movie is inspired from the novel and retains some critical elements, the two are very different works. There is a movie tie-in novel, and this review is not about that: it’s about the original source. As we grow older we tend to build our own worlds; they are composed of our interests, hobbies, career, memories, experiences, friends, family members, love interests, and so on and so forth. One of the greatest fears we all share is to lose it all at once, to be left with absolutely nothing, perhaps even less than square one. 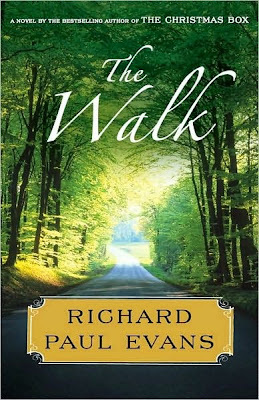 In The Walk by Richard Paul Evans we encounter such a man: Alan Christoffersen, an advertisement executive from Seattle. In the blink of an eye, he loses the love of his life, his job, and his home. Long story short, the only things he has left are his essentials, and himself. History is a rather curious thing, in the sense that we accept the fact that much of it is shaped by the desires and interests of those who record it. In other words, the history we are being taught and accept is not a completely accurate reflection of the objective reality which transpired; rather, it is distorted and modified by countless factors from faulty memory to the need to advance an agenda. 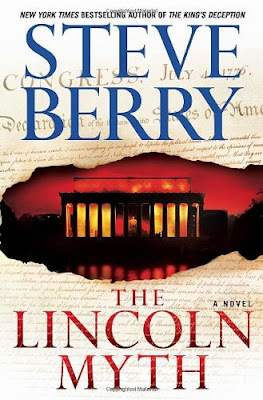 In The Lincoln Myth by Steve Berry the line between what history remembers and what actually happened is shattered. A discovery is made leading certain people, a demented Mormon millionaire being one of them, to believe that Lincoln as well as the founding fathers were unanimously in favor for states to have a right to secede from the union. The millionaire, who also communicates with a Mormon ghost on occasion, hatches together a plot involving the United States President, the Senate as well as a violent and extremist Mormon sect. 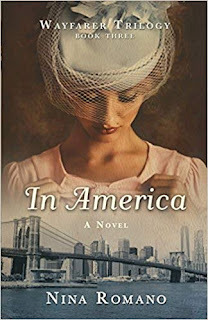 As it happens, Cotton Malone gets entangled into the whole thing and must find a way to unravel the whole thing, with the help of his girlfriend, Cassiopeia Vitt, a former Mormon who was once in love with the ghost-loving millionaire. 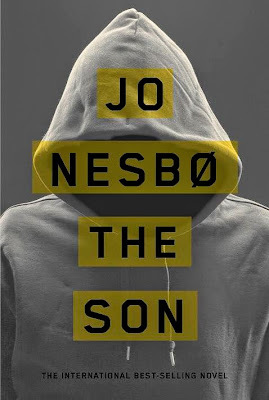 With The Son Jo Nesbo delivers an entirely new standalone novel, though in some ways, it does run in the same vein as the Harry Hole novels. In The Son, our protagonist is Sonny Lofthus, a young man who spent the last twelve years of his life in prison, serving time for the crimes of others and being supplied with unlimited heroin. The addiction seeped into his life upon the suicide of his father, who apparently would rather face the afterlife than being exposed as a corrupt police officer. However, after all these years spent under the thumb of powerful and shadowy figures, Sonny makes a discovery which prompts him to rethink everything, make a brilliant and daring escape from prison, going after those who drove his father over the edge. With his first novel in over five years, Greg Iles goes back to his favourite place of all, the town he himself was raised in, Natchez, Mississippi. This fresh outing, titled Natchez Burning, is the first part of an entirely new trilogy, and it is centered on two characters: Tom and Penn Cage, with the former being the latter’s father. Tom is a respected and well-liked family doctor, while Penn is a successful lawyer. However, their world is shattered when Tom falls under accusations of murdering Violet Turner, a nurse he worked with back in the sixties. Determined to save his father at all costs and see justice done to those who truly deserve it, Penn throws his body and soul at the case, and as it always happens, bites off more than he can chew. Delving deeper than he ever wanted into a vast conspiracy involving the KKK, the Double Eagles, one of the most powerful men in the country, is confronted with having to decide what justice is truly worth. Amongst many things Jim Harrison is known for his magnificent and captivating novellas, particularly the ones revolving around a reckless Indian from Michigan who has never had a lot of luck, Brown Dog. 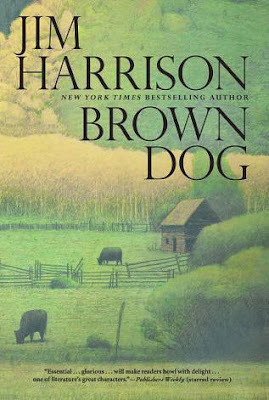 Choosing to reunite all of the novellas in a single book, Harrison put together Brown Dog, a compilation of all the titular character’s stories until today, as well as an entirely new one. Without giving away too much of the various plots, all of the stories are basically centered on Brown Dog moving above and beyond his comfort zone and that which he knows, plunging into more or less extreme scenarios and discovering not only the world, but also himself in the process. The Edward Snowden affair which has erupted recently is certainly a huge wake-up call to the entire world, showing that our surveillance methods are rapidly approaching Orwellian standards. Unfortunately, it is obvious that the entirety of what Snowden had to reveal still didn’t make its way into the open, and the full consequences of his actions still unknown. 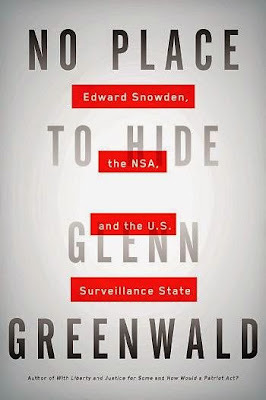 In No Place to Hide, author and journalist Glenn Greenwald details his ten-day trip to Hong Kong, where he personally met Edward Snowden who passed him a lot of vital and sensitive information which corroborated his claims about the NSA. In other words, he met with Snowden the informant, and in this book he discusses the whole process of it, the information he received and what its implications are. Of course, he doesn’t simply transcribe what happened and leaves it at that. Rather, he probes deeper, examining the implications on our society of the kind of surveillance documented in those files and makes a strong case for the NSA being an abusive entity with far too much power entrusted in them. Good day to all, and welcome back for the 55th issue of Gliding Over the World of Literature. This time around we are going to go back to one of our favorite topics, that of banned books. To start things off, we will have a look at a compilation of some of the most controversial books in 2013. Following that, we will have a look at a list of top 10 most-challenged books by the American Library Association, and finish things off with a look at a curious story about how a Dr. Seuss book came under fire for its “violent” content. Field of Prey by John Sandford is yet another addition to the Lucas Davenport detective series, this time following the investigator on a rather unsettling affair. In the town of Red Wing, Minnesota, a cop ends up discovering a body stuffed down the cistern of an abandoned farm. Upon closer investigation, it is discovered that there are corpses to be pulled out, and by the time Davenport makes his way there, the count is up to fifteen. Each of the victim’s deaths is timed more or less exactly one year apart, meaning that not only was a killer living in the midst of the peaceful community, but he has been there for some time, working hard and going under the radar while doing his macabre deeds. 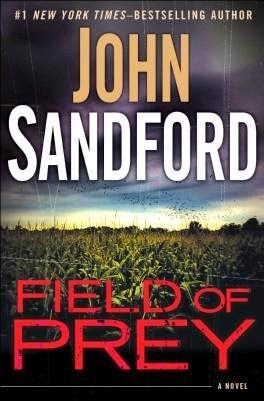 For those who are familiar with Sandford’s other words, there really is no surprise here: it is yet another solid and well-written murder mystery that will keep your eyes glued to the pages. The main mystery itself is of course the driving force of this novel, and virtually everything that happens relates to it in one way or another. There are plenty of false leads, promising clues, eye-catching suspects as well as twists and turns, leading to a climactic finale where, as is always the case, Sandford delivers an unforgettable conclusion.